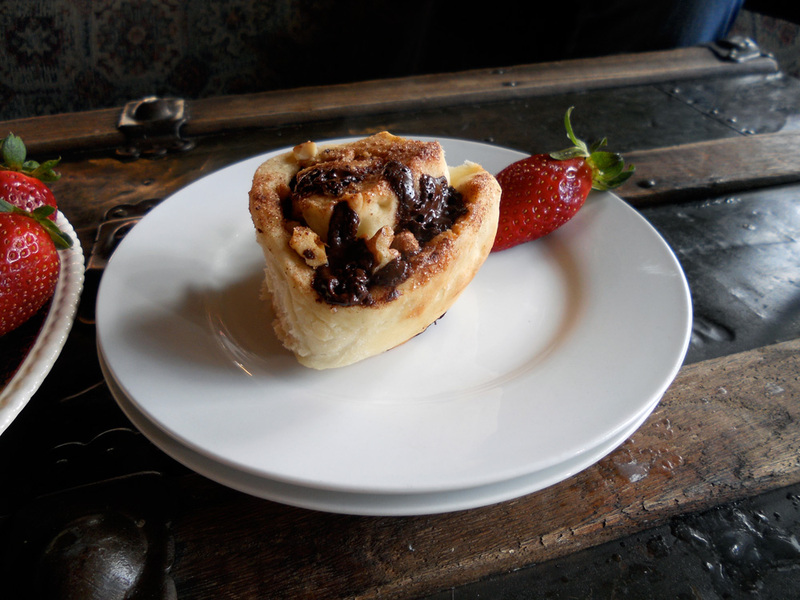 Valentine’s Eve breakfast this morning: homemade chocolate walnut sticky buns with cinnamon. I used this recipe for naan bread. 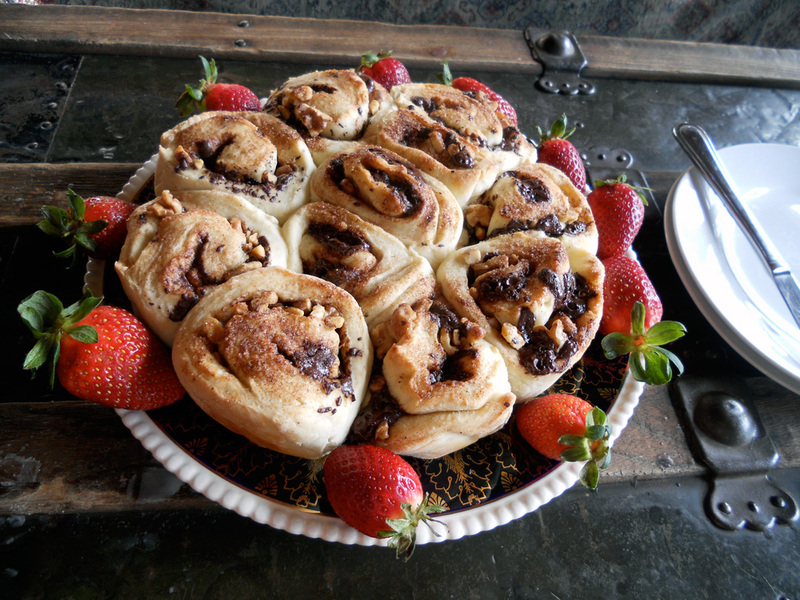 I rolled out the dough after it had risen for about 2 hours, brushed it with melted butter, sprinkled with cinnamon sugar, toasted organic walnuts and chopped organic chocolate. After rolling it up like a jelly roll, I cut into 11 pieces and placed cut side down in a nine-inch round cake pan lined with parchment. The tops were brushed with butter and sprinkled with more cinnamon sugar. Very delicious and not too sweet! 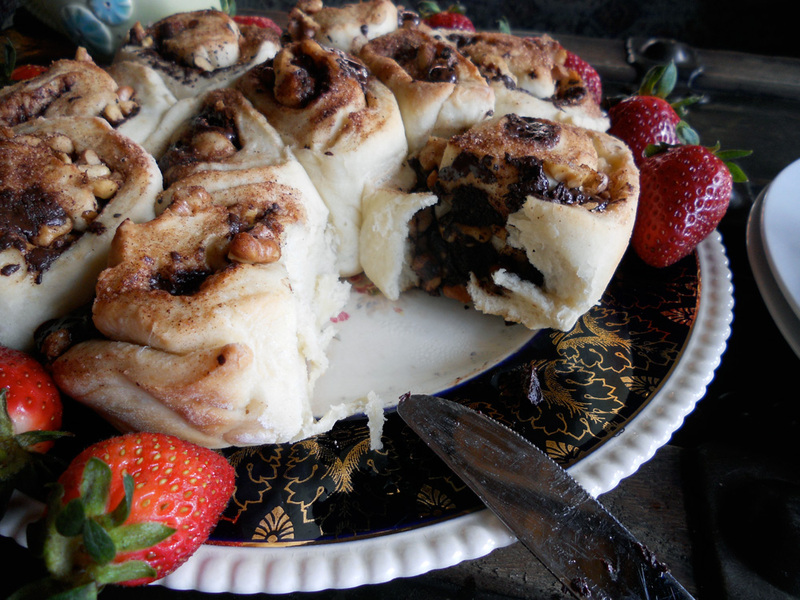 Mmm I love sticky buns and these look soo good with the addition of walnuts and chocolate!